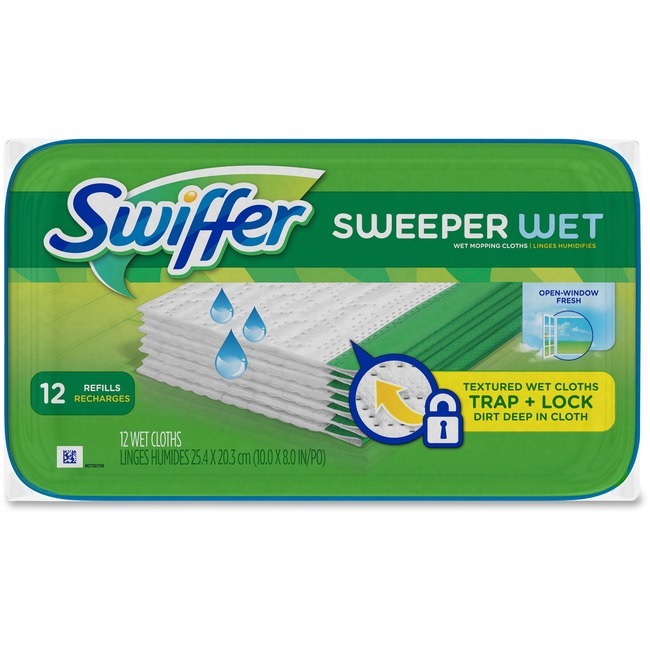 Swiffer Wet Cloths for the Procter & Gamble Swiffer Sweeper remove dust instead of just moving it around for dust-free clean. Wet cloths are safe for wood, ceramic, vinyl tile, electronics and other hard surfaces. Do not use wet cloths on unfinished, oiled, or waxed wooden boards, nonsealed tiles or carpeted floors. Wet cloths leave no residue.